If you want to establish your social network, you can use the Find friends page to find people to connect to. An alphabetical list of all users in your institution(s) or on the entire system is provided. Use the search box to search for a name of a user. Your search results are limited to users from your institution(s). Choose the option “Everyone” to search for any user on the system. All results are listed. You can click on the name to view that user’s profile page. You also see if a user is already a friend of yours. Send this user a friend request. Send this user a message without requesting friendship. Edit this user’s group membership for a group of which you are an administrator. You can prevent others from sending you messages or friend requests if you disabled these options in your account settings. 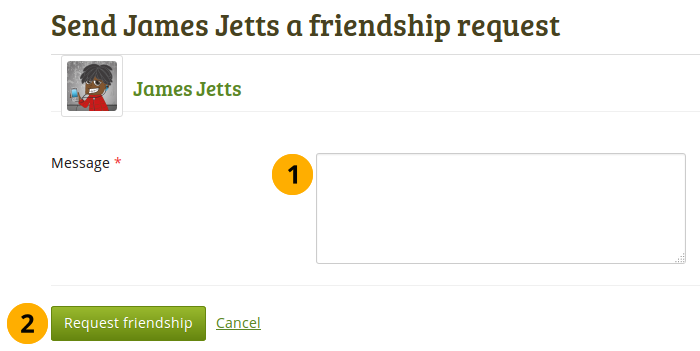 You can send a friend request from the Find friends page by clicking on the Send friend request link next to the user you want to be friends with. Give a reason why want to request friendship with this user. This reason can be important if the other person does not know you well and thus may likely reject your request. This field is required. Your message cannot be longer than 255 characters. Click the Request friendship button to send off your friend request or click Cancel to abort your action. You do not need to request the friendship of other users in order to see their portfolio pages or collections. 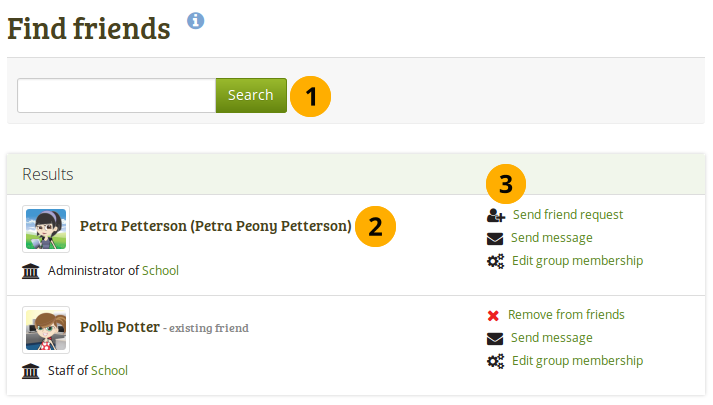 Access permissions are independent of being friends on Mahara. 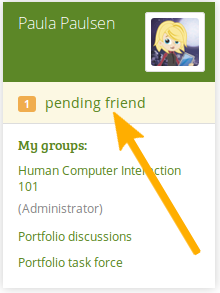 When another user has requested friendship, you receive a notification which is shown in the login box. When you click on the friend request, you are taken to your My friends page. All your pending friend requests are shown. View the name of the person requesting friendship and a short description if the user had written one in Content → Profile → Introduction. You can click on the name and view the profile page. You also see when this user requested your friendship. Read why this user requests friendship if they provided a reason. 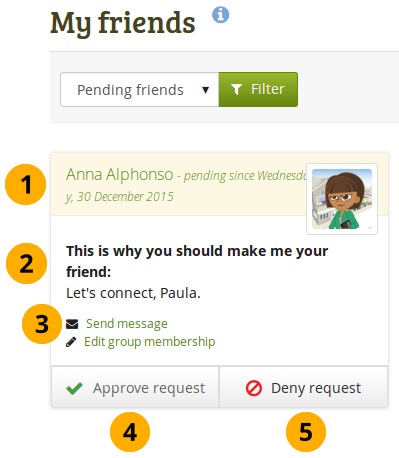 Click the Send message button to communicate with the user before making your decision about this friend request. Click the Approve request button to approve the friend request. Once you approve a friend request, you appear immediately on that user’s My friends page and the user on yours. Click the Deny request button to deny friendship. When somebody sent you a friend request, go to the My friends page to view your pending requests. Next to the person whose request you wish to deny, click the Deny request button. Provide a reason for your denial if you wish to give one. Click the Deny friend request button to send your message or click Cancel to abort your action. The user receives a notification which includes your reason for denial if you provided one.